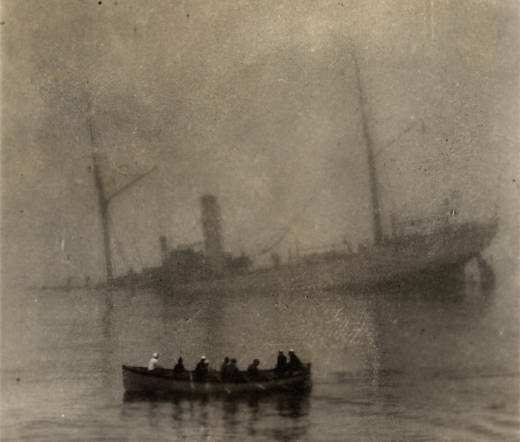 One hundred years ago this week, the Coast Guard cutter McCulloch, a world-traveled vessel stationed in San Francisco, collided with a passenger ship in the fog and sank to the ocean floor off the coast of Southern California. For almost a century, the ship was lost. On Tuesday, the U.S. Coast Guard and the National Oceanic and Atmospheric Administration (NOAA) announced that the McCulloch had been found, four miles off Pt. Conception, west of Santa Barbara. A historian and archeologist, Schwemmer has been studying the McCulloch for three decades and always hoped to find the remains. In 2013, maritime historian and shipwreck researcher Gary Fabian located a mass on the ocean floor using sonar. Suspecting that it might be the lost wreck, Fabian contacted Schwemmer with his hunch. Years later, Schwemmer took the research vessel Shearwater over the potential wreck site. Using sonar, he saw high-relief images of the sea floor and a mass that could potentially be a wreck -- but more importantly, he saw lots of fish. “Fish are an indicator of habitat, and shipwrecks are great habitat,” he said. By now, Schwemmer felt confident that there was indeed a wreck. But with its strong currents and heavy winds, Pt. Conception had always been a common place for shipwrecks. There was still a chance that the murky image was a wreck, but not the one Schwemmer was looking for. Optimistically, he contacted the Coast Guard and told them that he suspected he had found the cutter. Finally, in October 2016, Schwemmer, along with a NOAA research team and a local branch of the Coast Guard, devoted an annual reconnaissance cruise to looking for the McCulloch. They teamed up with Video Ray, a technology firm that provided a small and robust underwater ROV to inspect the site. 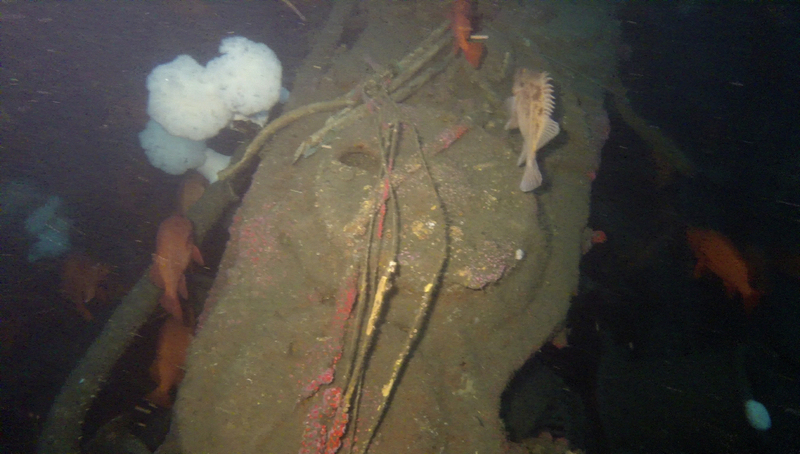 When the ROV footage revealed a 14-foot bronze torpedo launcher mounted on the bow of the vessel -- a feature unique to the McCulloch -- Schwemmer was sure that the long-lost cutter was found. The McCulloch spent its short life traversing the world and watching history unfold. Commissioned in 1897, the cutter traveled from its original location in Philadelphia to its home port in San Francisco via the Suez Canal and East Asia. After stopping in Singapore in 1898, McCulloch did service in the Spanish-American war as part of Commodore George Dewey’s Asiatic Squadron in the Battle of Manila Bay. McCulloch passed its later years patrolling the Pacific coast from Mexico up to the Arctic. It spent time in remote regions of Alaska enforcing regulations on fur seal hunters, and briefly served as a floating courtroom as part of the Bering Sea Patrol. McCulloch had a promising future as a military vessel, and in 1917, plans were made to re-fit the ship with increased armaments for the first world war. However, these plans were cut short. On its way up the coast of California on a foggy morning in June, the McCulloch was struck by the passenger steamship SS Governor off Pt. Conception. Within 30 minutes, its crew had abandoned ship. “When the boats were clear of the ship, Chief Engineer Glover in charge of the gig, came alongside and advised me to leave the ship as she was sinking faster every minute and nothing more could be done to save her," the McCulloch's captain recalled. His crew stood at attention on lifeboats and wept as they watched the cutter disappear beneath the waves. One crewman died of injuries sustained in the incident. The McCulloch rests on its port side in 300 feet of water, and now serves as habitat to a great diversity of marine life. 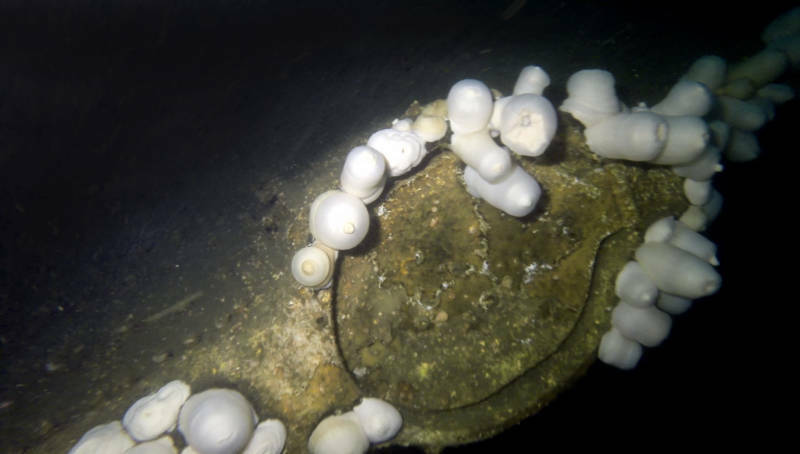 The ROV exploration footage shows that the exposed bow of the cutter is covered in bright white Metridium anemones, filter feeders that thrive where the current is strong. The wreck is also home to species such as wolf eels, ling cod, vermillion and copper rockfish. This diverse ecosystem is what Schwemmer saw on the sonar images in 2015, that first clue to the wreck. The McCulloch is federally protected by the Sunken Military Craft Act. That and its fragile state prevent Schwemmer or other researchers from disrupting the site. Shipwrecks like this one connect Californians to the rich history of their waters. The Pacific coast is a particular hotspot, and each sunken wreck tells its own story.